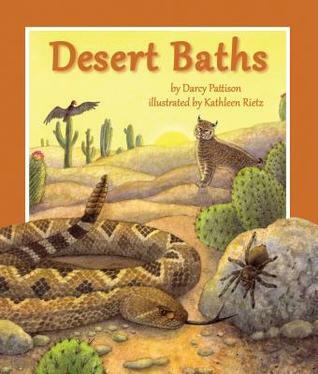 Desert Baths is a great book to begin your young reader learning about desert habitats, deserts of the world, and animals in the desert. Meet animals like Anna’s hummingbird, desert tortoise, scaled quail, and more. See how they manage to take baths, without water! Some you are sure to know live in the desert, others may be a first time introduction. Each page personalizes the animal with an illustration and basic details on the animal. Young lovers of animals will enjoy this book and the array of animals found in the desert. Creative Minds section in the back of the book offers additional learning tools that you can go beyond simply reading the book. Discuss more about deserts and the animals found. Look at a map of deserts and name the ones in the US. Learn about different times of the day and the compass rose, even an activity to tell the time by the sun. Online there are additional Teaching Activities to dig in with Desert Baths to get the love of learning on a forward roll!